TRAVLA offers competent products to partners in numerous fields and transforms general purpose platforms into vertical application platforms. TRAVLA's professional design team can design special made-to-order enclosure or integrated barebone which fits perfectly with customer’s demands in each vertical markets. 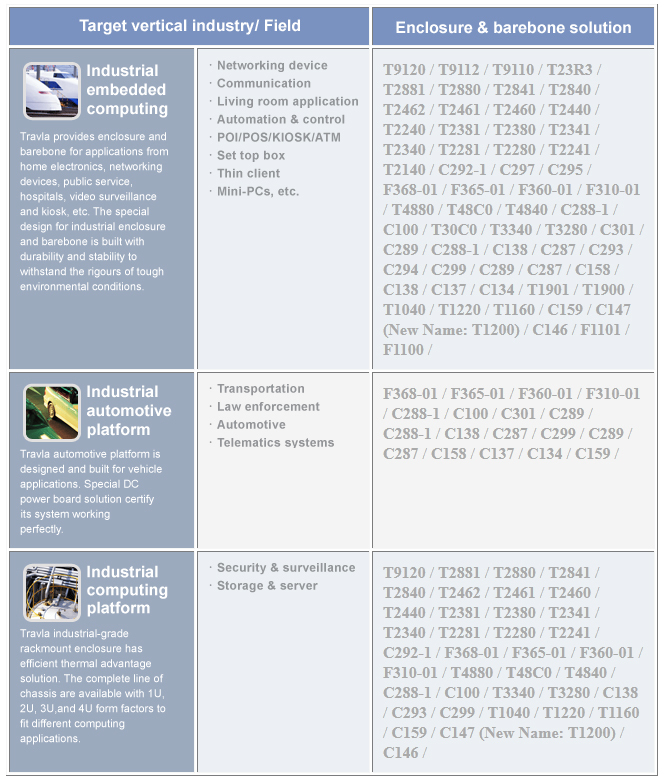 The complete information on applications of industrial embedded computing industrial automotive platform, and industrial computing platform is provided below. For futher inquiry or request, please click on CONTACT US to talk to our representatives.